• Be patient! 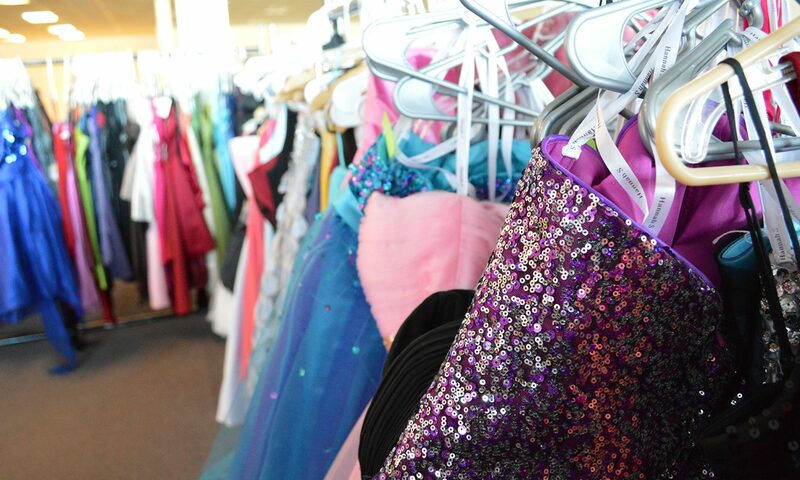 There are lots of dresses to choose from and lots of girls looking. • Wear spandex or bathing suits so you can try dresses on in the aisle. The thing that takes the longest is waiting in line, so if you can eliminate that you’ll be in and out in no time! • Keep to the 2 dress in line limit. We will send you back to the end of the dressing room line if you have more than 2 dresses in your hand. That means you, your mom, your friend, etc. Just 2 dresses at a time per person please! • Remember to say thank you and pay it forward. Hundreds of hours are spent planning the project each year and working hard to make it a success. Your smile goes a long way!